The issues plaguing Wells Fargo and other banks bring to the fore the Glass-Steagall Act, which does not rest in peace. Its lessons surface and rise continuously; they are hard to ignore. This Act was passed after the failure of the financial system in the 1920s. Before the Act, the banks were engaged in various financial intermediation services, just as they do today. Before the Act, banks traded as brokers and underwriters, managed assets as financial advisers, and as trustees. All could be organized and operated under the roof of a bank holding company. The Glass-Steagall Act, named after the legislators that sponsored it, eliminated most of the banks’ financial services and left banking as their main service. It did allow an exception for banks to manage a limited purpose mutual fund for small investors. Most importantly, the Act regulated and limited the structure and financing of bank holding companies’ offerings. Why? In 1999, the provisions of the Glass-Steagall Act limiting bank affiliations with securities firms were repealed. Why? In 2008, when the banks failed, the solution was not to resurrect the Glass-Steagall Act although demands in that direction had been heard. Instead, the government resurrected the banks. Why? First, like any publicly held corporation, a bank that is owned and managed by a holding company is owned by the public investors of the holding company. In such a case not only the bank but the bank holding company’s financial services that the bank holding company owns, can be hard-pressed by the holding company’s securities holders demand for more profits; the more the better. Wells Fargo’s management paid great attention to its holding company’s shareholders and their expected pressure for profits. The bank was attractive to its investors for the dividends it paid. Second, a bank holding company that engages not only in banking but also in other financial services may act both as the seller of other financial services as well as its banking services. If the employees in one department participate in the profits of another, the focus on sale of financial service may become far greater than the focus on the services, including even the employees’ department’s services. In the financial area, where the customers do not have full understanding of the service, honesty might fall victim to the pressure to sell. Third, selling services of other departments in the bank holding company may lead the sellers to focus not only and perhaps not at all on the services that their department offers but on the services that other departments offer. Their focus on their own clients’ needs is thus further reduced. Fourth, if the bank is likely to be saved by government financing its management and employees may feel less constrained to avoid violation of its trust. After all, the government can afford losses better and more easily than clients. In addition, the government that financed a bank may not be eager to follow strict trustworthy service. Both the government and the bank are interested in the bank’s profitability and the repayment of its debt to the government. A significant contribution to the 1929 market crash was high borrowing by the issuers and banks, and high risk-taking by the investors. The 2008 failure was due to high borrowing by issuers and borrowers, as well as high risk-taking by the banks and brokerage and underwriting firms. In both cases the borrowers failed. In both cases the investors, and to some extent the banks that made loans to failed borrowers, failed as well. After all, the lender to failed borrowers is more likely to fail too. 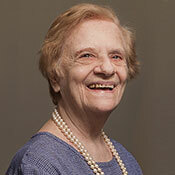 The lender’s pressure to take risks and earn more is opening the door to fraud and ultimate failure. Wells Fargo fits these three sources of failure. First, its brokers cheated the client-investors by charging them more than once for opening a new account, even though the clients did not need more than one account. These accounts were profitable to the bank by charging clients for opening accounts that the clients did not need. In addition, the bank paid special bonuses to the creators of these accounts. The bank could afford the payments because the clients with double accounts paid double for opening an account. The bank, the bank’s shareholders, and the brokers gained. It seems that the same system was used for the salespersons of other services. Holding large amounts of other people’s money poses great temptations. The amounts are attractively large, and the owners of the money are unable to closely supervise their banks and bankers. When the investors in the banks and the banks’ management and their employees control the depositors and other customers’ money, the temptation to “help oneself to this money” may be too great. The offer of diverse financial services under one roof may be too open-ended, harder to control, and easier to hide under various services. Putting great pressure on the employees to “produce,” no matter how, can indeed produce money for the bank no matter how, including fraudulently. Assuming that banks can be resurrected, how can they achieve their good name and gain depositors’ and investors’ trust? 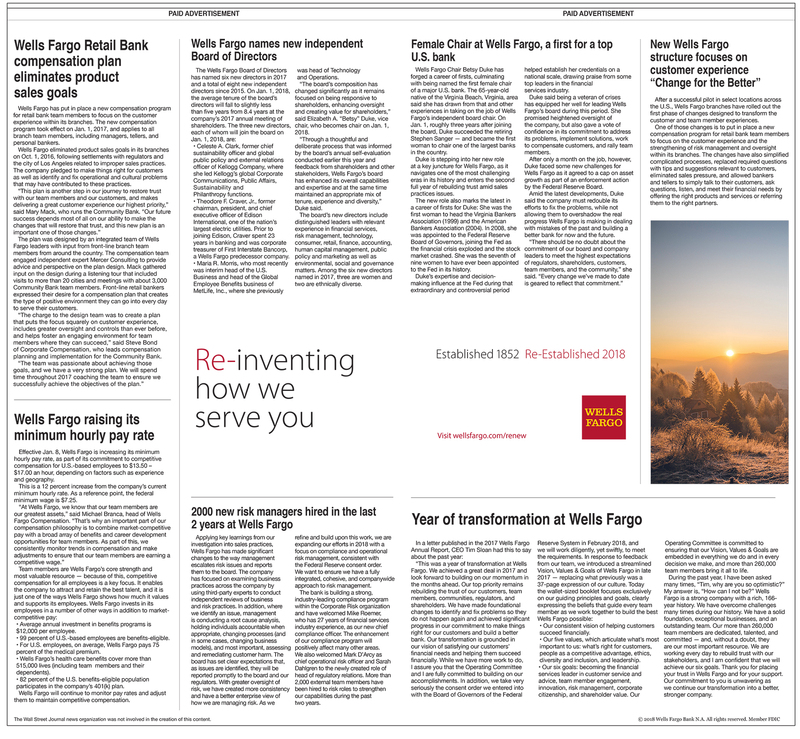 A fundamental change of the bank: “Year of transformation at Wells Fargo.” “Established 1852. Re-Established 2018” It is unclear whether Glass-Steagall Act is waiting to be reborn. Perhaps a sufficient number of clients may show the way. Yet, this bank’s management may know better than anyone else the ways to honestly resurrect and truly earn a good trusted name. Does the law have a role to play in preventing banks from getting on the Wells Fargo bandwagon? Is the old Glass-Steagall Act waving an alternative flag? Arguably, a bank holding company offers clear and direct conflicting interests to the banking function of the bank. Bank holding companies’ shareholders expect dividends: the more the better! Conflicting interests in bank holding companies’ dividends induce banks to produce more profits. That leads to profits from their services. Banking services provide limited profits, derived from lending depositors’ short-term money to long term-borrowers. This design leads to a legal requirement to hold cash (which does not provide profits) to back up failed loans that the bank offers with depositors’ money. If the depositors are not paid on demand, however, the bank may be exposed to a “run” not only of the immediate demanding depositors but also by other depositors, who might not have otherwise demanded their money. The search for income to raise the returns that would satisfy investors in the bank holding company’s securities naturally leads to a search for other sources of income. Investment advisory services and investment management for pooled securities is another source. Why should banks not offer mutual funds management? And, of course, brokerage services can be used for the management of mutual funds and advisory services as well. The “financial mall” is one such source. After all, brokerage firms can earn their living and offer profits that might be paid to holding company’s investors. Arguably a financial mall is a way to strengthen the banking system. While people, who go to the store to buy shoes, are not likely to look for real estate as well, they are far more likely to look for other items of clothing. The large department clothing stores offer evidence that they do. So why should people, who deposit money in the bank, not tend to invest the money in profitable financial investments, and use the banks’ services for this function as well? Evidence showed that they do. It is not surprising that in some banks the tellers tell the depositors about the best financial adviser on the second floor, an adviser that could really earn for the depositors so much money. So investors climb to the second floor. A number of reasons make this system, and the financial mall, toxic. Bank failures from the 1990s until today can be traced to these two sources. They are worth repeating: demand for profits related to the services as well as demand for profits by the investors of the bank holding companies. The Glass-Steagall Act addressed both sources. The attempt to approach the problems in somewhat different ways has not been successful. The failure of 2008–2009 supported the banks with taxpayer money but did not address the source of the problems: bank holding companies and bank financial malls. The time has come to face and address the source of bank failures: revisit the Glass-Steagall Act and follow it. (1) Restrict and regulate bank holding companies, drawing on the Glass-Steagall Act; (2) Severely limit most the bank financial services, especially brokerage and investment management. We might have fewer financial intermediaries, but that may be a blessing.